Can you believe we're already in the last week of Sale-a-bration? There are only six days left to make a purchase so you can earn FREE Sale-a-bration item(s). The card I made today showcases three of the free items. I made this card without using any stamps. The main feature of the card is the Celebrate You thinlit dies that you can earn for free with a $100 order. I cut the word "celebrate" out twice--once in Bermuda Bay card stock and again using the Myths and Magic Glimmer paper. I glued the two cutouts on top of each other, but offset slightly. The Bermuda Bay layer appears as more of a shadow behind the glimmer paper which helps the word stand out a little better. The word "you" was also cut out of the same glimmer paper and adhered to the card using dimensionals. The designer series paper (DSP) I used is the Bubbles and Fizz DSP that you can also earn for free. It coordinates with the Bubble Over stamp set and the Bottles and Bubbles Framelit dies that you can find on page 32 of the Occasions Catalog. I love the color combination found in the DSP. The colors seem cheery and bright which is perfect for this celebration card. The third free sale-a-bration item that I used is the Shimmer Ribbon Pack. The sparkle in the ribbon ties in beautifully with the sparkle from the glimmer paper. For the inside of the card, I used a strip of the same DSP I used on the front of the card and another piece of the Shimmer Ribbon. I like to make sure that the inside of the card always coordinates with the front of the card. As I said before, there are only six days left of Sale-a-bration. I made is super easy for you to order by providing links below of all of the products I used today. Simply click on the pictures of the items below and they will be added to your cart. Remember, not only will you be able to earn items for FREE, but you'll also get a thank you gift from me. When I first saw the Sweet Soiree Suite in the Occasions Mini Catalog, I knew I had to order it. The products in the suite are absolutely gorgeous and make the most elegant cards. Take this card for instance. It turned out so pretty simply because of the beauty of the designer series paper (DSP) and the Sweet Soiree Embellishment Kit. The cake and the flowers on top of the cake came from the embellishment kit. I didn't have to color any of that in. It couldn't get any easier than that. The card is covered in silver accents--the cake and flowers are outlined in silver, the polka dots on the layer behind the cake are silver, the ribbon is edged in silver, and the Rhinestones are silver as well. It looks very elegant. I decided to use the sentiment "Celebrate" on the front of the card so that it gives me flexibility. I can choose to use this card as a birthday card or as a wedding card. If you remember my card that I posted on Friday, you'll notice that this card and the Friday card both have the same layout. By changing the stamp set and the paper colors I used, the two cards don't look anything alike. If you're ever stuck trying to design a card, try going back to something that you've previously made. Use the same layout and change the products used and you'll have a card in no time. What works for you when you're lacking creativity and need to make something? Leave a comment below and let me know. I used the Sweet Soiree Embellishment Kit to finish off the inside of my card as well. I added two stripes of the silver Washi tape across the inside layer and then added some more flowers on top. I'm so pleased with how this card turned out. If you'd like to purchase any of the supplies I used to make this card, I've made it very easy for you. Click on the images below and they will be added to your shopping cart. Also, remember it's Sale-a-bration. For each $50 you spend (before shipping and handling and tax) get a free item from the Sale-a-bration catalog. It has been way too long since I have posted on here. So much has changed in my life and I'm trying to make stamping a priority once again. It is my therapy, my sanity, and my happiness. I have really missed it. I'm taking it slow right now and making cards or projects as the ideas come to me. Soon I hope to be back in the swing of things with regular posts. The video tutorials will be back soon too. I just need to work on a new set up for my camera and I'll be back in business. Since I have last posted, I have gotten married. I used to post under Dannie Graves, but my name is now Dannie Hussey. Don't let the name change fool you. It's still me. Enough of all of that stuff. Would you like to see a recent card I made? This card uses the Painted with Love Suite from the Occasions catalog. While I absolutely love the stamp set and the framelits in the suite, my favorite thing is the gorgeous Painted with Love designer series paper (DSP). Although you can't see it in the photo, the "black" looking stripes on the card are actually gold foil. The lighting didn't capture it correctly. Each of the pieces of DSP have some type of gold foiled accent on one side. I'm sure I will be using this DSP in many other projects to come, so be sure to check back. I inked up the heart image in Melon Mambo ink and then rolled the edges of the stamp in Rich Razzleberry ink before I stamped it (the rock-n-roll technique). I then cut the heart out using the Lots to Love Box framelits that coordinate with the stamp set. I used the Sparkle embossing folder on the Powder Pink card stock to add some texture to the card. I finished it off with some beautiful Berry Burst Crinkled Seam Binding. I kept the inside of the card very simple. The strip of DSP is the back of the DSP shown on the front of the card. I love how rich and beautiful the color are together. If you'd like to purchase any of the supplies I used to make this card, I've made it very easy for you. Click on the images below and they will be added to your shopping cart. If you buy the stamp set and framelits together, you save 10%. It's a great deal that you don't want to miss out on. Also, remember it's Sale-a-bration. For each $50 you spend (before shipping and handling and tax) get a free item from the Sale-a-bration catalog. I hope you all had a wonderful holiday season and a happy new year. I was just beginning to feel like it was the Christmas season and then it was over. It didn't last long enough. I'd love to have two more weeks of vacation to recover from the holidays! I've been meaning to post this project a while ago, so don't be alarmed that you're seeing a Christmas card. I also made two alternative cards using the same layout but different sentiments. This is a quick, simple layout that you can use for any occasion. Isn't that cute? The idea originally came from Dawn Olchefske (I hope that's how you spell her last name). She shared a great way to get more use out of the Note Tag Punch. I tried it, loved it, and now I'm sharing it with you in my latest video tutorial. If you get a message saying that the video is no longer available, try refreshing your screen. Real Red--8 1/2" x 4 1/4" scored at 4 1/4"
Whisper White--3 1/2" x 3 1/2"
Merry Moments DSP--3 1/4" x 3 1/4"
Here's a closer look at the other cards I showed in the video. Simply change the sentiment and you have a great card for any occasion. Quick and easy and yet they're still so cute! Thanks for the idea Dawn. If you'd like to order any of the supplies to make these cards, I've made is super easy for you. Just click on the pictures below and the items will be added right to your shopping cart. Thanks for stopping by! It's the middle of October, but it still doesn't feel like fall yet. The temperatures have been in the 90's a couple of days this week. I can't wait until it cools off and it starts to rain. Even though it doesn't feel like fall, I have a fall card (and a video tutorial!) to share with you. I made this card for one of my recent downline meetings. I think it turned out really nice. I stamped the leaves from the Vintage Leaves stamp set all over the background and then finished it off with some speckles from the Gorgeous Grunge stamp set. The sentiment comes from the Thankful Forest Friends stamp set. I bought the stamp set because I thought the animals in the set were really cute, but I'm also getting good use out of the sentiments. I added a small strip of leaves to the inside of the card so it would match the front of the card. Would you like to see how I made it? Then take a look at this video tutorial. If you get a message saying the video is no longer available, try refreshing your screen. Very Vanilla--(2) 4 1/2" x 3 1/4"
Very Vanilla--7/8" x 3 1/4"
Delightful Dijon--8 1/2" x 5 1/2" scored at 4 1/4"
Rich Razzleberry--(2) 4 5/8" x 3 3/8"
Rich Razzleberry--4 1/2" x 1"
Rich Razzleberry--3 1/4" x 1"
It feels great to be posting on my blog again. I have several projects sitting on my desk that are waiting to be shared with you. I've even filmed several video tutorials. If you look further down in this post, I have a video to share with you on how to make this fun Halloween card. This card uses the Howl-o-ween Treat set and the coordinating Boo to You Framelits bundle. If you purchase both items together from my online store (by clicking on the photo below) you save 15%! I could describe to you how I made this card, but I thought I'd show you instead. If you get an error saying the video isn't available, refresh the screen. Here's a closer look at the inside of the card. Pumpkin Pie 4 1/4" x 11" scored at 5 1/2"
Basic Black (2) 5 1/4" x 4"
So Saffron 5" x 3 3/4"
Today I wanted to share with you a really cute set of cards that my downline Elaine designed for one of our recent downline meetings. I love them! They all use the Crazy About You stamp set and the coordinating Hello You thinlit dies on page 106 of the catalog. 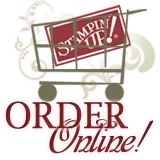 Did you know that if you purchased these items together at my store (DannieGraves.stampinup.net), you could save 15%? It's such a great deal. The base of all of the cards is Smoky Slate card stock. They all use the Bohemian Designer Series Paper (DSP) and the Bohemian card stock pack as well. All of the flowers were punched out using the coordinating Flower Medallion and the 1 3/4" Scallop Circle Punches. This Delightful Dijon flower was stamped twice and the images were punched out using the Flower Medallion punch. The flowers were layered offset on top of each other to give it more dimension. I added pearls to the center of the flowers for a nice finish. All of the "white" paper in the background comes from the Color Me Irresistible DSP. I sponged Smoky Slate ink on the center of each of the pieces of DSP so the design would show through. I love the look of not sponging the entire piece of DSP. It beautifully highlights all of the die-cut words. Thank you Elaine for designing such a beautiful card set for us to make. If you'd like to order any of the supplies to make these cards, I've made is super easy for you! Just click on the pictures below and the items will be added right to your shopping cart. Thanks for stopping by! It's been a little while, but I'm back! I was looking around on Pinterest for ideas and I was inspired to make this simple thank you card. It's so cute! I had so much fun making this that I decided to make it my thank you card for all of my customers that order during the month of September. You could easily change the Designer Series Paper (DSP) used and/or the sentiment and you have a card for any occasion. I made a video tutorial to show you just how easy it is to make. Very Vanilla--4 1/4" x 11" scored at 5 1/2"
Very Vanilla--1" x 4 1/4"
Pretty Petals DSP--(3) 1 1/4" x 5 1/4"
Pacific Point Stitched Satin Ribbon--14"
If you'd like to have one of these cards delivered to you, simply place an order with me by clicking on the images below and they'll be added directly to your shopping cart. Thanks for stopping by! Earlier in the month I participated in a Control Freak swap. This was separate from the swap we did at convention, I just haven't had time to post it yet. Not only do I have the card to show you, but I also have a video tutorial to share on how I made the card. The swap theme was anything new from the catalog, so I chose to make a Christmas card using the new Lots of Joy stamp set. I always need lots of Christmas cards so it's never too early to start on them. I got my color combination from the Merry Moments Designer Series Paper (DSP) that coordinates with this stamp set. Normally I share lots of details about how I made the card, but I think I'll let you watch the video instead. But first, here's a closer look at the inside of the card. Real Red card stock--4 1/4" x 11" scored at 5 1/2"
Smoky Slate card stock--(2) 4" x 5 1/4"
Merry Moments DSP--(3) 1" x 5 1/2"
Whisper White Seam Binding--about 5"
Every year when I go to convention, the only swap I participate in is the one with the Control Freak Stampers. They are such a talented group of stampers and the cards are outstanding. Now that we're home from convention, it's time to share our swap cards in this month's blog hop. If you're following along the hop, you should have just come from Julie Davison's blog. If this is your first stop, no worries. Just follow the link at the bottom to the next blog. For our convention swap, we each made two different cards. For my first card, I stamped the butterfly in Bermuda Bay, Pool Party, and Island Indigo Ink. Then I cut it out using the Bold Butterfly Framelits. I cut out another butterfly from a piece of Basic Black card stock using the Butterflies Thinlits. I layered both butterflies together using a dimensional. I used the Fluttering embossing folder for the background so it all coordinated together. I layered the butterfly and the sentiment on top of a piece of 2" wide Neutrals Designer Series Paper (DSP) that I punched using the Triple Banner Punch. I finished off the front of the card with a small flower (Itty Bitty Accents Punch Pack) and a Rhinestone. For the inside of the card, I used another piece of Neutrals DSP so it coordinated with the front of the card along with some Island Indigo Cotton Ribbon. For my second card, I wanted to feature our Tea Lace Doilies. I stamped the sentiment from the Garden in Bloom stamp set in Night of Navy ink on Whisper White card stock and then punched it out using the 2" Circle Punch. I layered it on top of a piece of Marina Mist card stock that was cut out using the 2 1/2" circle punch. I then attached both layers to the Tea Lace Doily. It's a little difficult to see in the photo, but the background is embossed using the Elegant Dots embossing folder. I finished off the front of the card with some flowers (from the Itty Bitty Accents Punch Pack), pearls, and a piece of Marina Mist Cotton Ribbon. For the inside of the card, I used the same embossing folder on the left side of the card stock and finished it off with another piece of Marina Mist Cotton Ribbon. If you want to see why I love this group of stampers so much, then please continue to Melissa Davies' blog. While you're at it, don't forget to leave us some love in the form of comments along the way!